Seven for a Secret, by Lyndsay Faye: Last year, I trained for (and completed) my first half-marathon with Timothy Wilde narrating his story from Gods of Gotham in my ear; it was the perfect combination of historical detail and well-plotted mystery to keep my brain turned on and engaged and focused on something besides how much my feet hurt after mile 12. Needless to say, I was ecstatic to learn that the brilliant Lyndsay Faye had written a sequel, Seven for a Secret, as the second installment of a planned trilogy. The continuation of Timothy's adventure did not disappoint, and it was a treat to get further into the head of the lovable, idiotic, well-intentioned copper star. Read my full review. 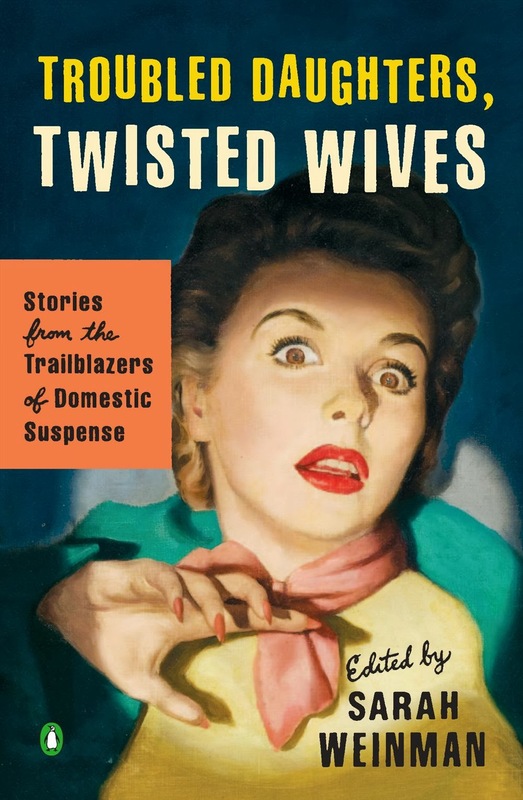 Troubled Daughters, Twisted Wives, edited by Sarah Weinman: Troubled Daughters, Twisted Wives is a collection of 14 tales of domestic suspense written from the 1940s to the 1970s. 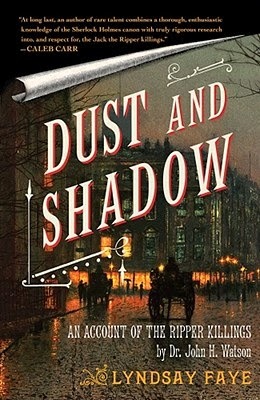 Editor Sarah Weinman argues that these women writers write more than simple police procedurals: they "take a scalpel to contemporary society and slice away until its dark essence reveals itself: the ways in which women continue to be victimized, their misfortunes downplayed by men (and women) who don't believe them, and how they eventually overcome." It's just as compelling as that makes it sound. The Shining Girls, by Lauren Beukes: Ooooh boy is this book creepy--in a good way. Mostly. Beukes has taken the traditional serial killer novel and flipped it on its head, this time featuring a serial killer who not only kills girls (whom he dubs "his Shining Girls"), but jumps through time to do it. But his last shining girl, Kirby, lives--making Harper's previously untraceable self just a little more traceable. This is one gutsy novel (both literally and figuratively), and not for the faint of heart, but damn, is it good. 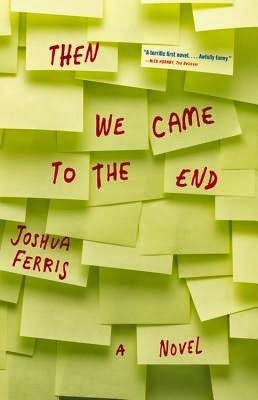 Then We Came to the End, by Joshua Ferris: In no way a new book (Ferris' debut came out in 2007), but still one of my favorites read this month--if not this year. With wit and precision and no small amount of heart, Ferris has peeled away the layers of the 9-to-5--the monotony, the office stories, the gossip, the fears, the insecurities, the layoffs, the friendships, the enemies--to craft a story with no narrator and very little plot that somehow still turns out to be engrossing. Expect more fleshed-out thoughts on this one in short order. 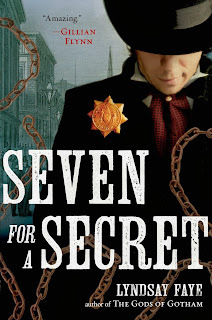 Seven for a Secret looks like a romance novel, says Captain Shallow (that's me). I definitely want to read The Shining Girls. Seeing that one pop up a lot lately. Ha! I hadn't thought of that, because I read the first one (which does have a better cover, in my opinion) and know what it's about, but you are totally right that it looks like a romance novel. Ho hum. That's too bad, because it's really, really far from a romance novel. I did enjoy The Gods of Gotham, but I wish I had read that one versus listening to it. I didn't bond well with the narrator for it, but it's good to read that the second installment in the series is just as good! And, oh, I love pumpkin as well! It was a little warm over the weekend and I ordered a decaf (I'm pregnant) iced pumpkin spice latte. Ahh, iced. It was perfect. Oh, interesting that you didn't like the narrator. His voice was a little odd at first (not his voice, maybe his inflections?) but by the end he totally embodied Timothy for me. My husband made me pumpkin spice syrup for my coffee (we're trying to save money and not go out to coffee shops all the time), and it's amazing. I have pumpkin spice all the time now! Then We Came to The End was so good. It's the only book that I've read that actually makes sense in first person plural. Agreed. That's a hard perspective to pull off but this one really worked. I have a copy of The Gods of Gotham that I've been meaning to read foreverrrr. I know I would totally love it, it has my name written all over it. Good to know the trilogy is headed in the right direction! Faye's books are really excellent. I'm looking forward to the continuation of the Wilde trilogy, and also to see what she does next outside of Wilde's story. I can't wait to see what you think about Then We Came to the End. No real narrator and no plot but you liked it... I'm intrigued indeed. I had to return the book to the library because there was a hold on it, so my review may not be as in-depth as I like... but it was amazing how well the first-person plural actually WORKED.